"When I was asked to write the fourth book in the Men of Lancaster County series, I admit I was hesitant. The first three books were written by the amazing team of Mindy Starns Clark and Susan Meissner, for whom I have a great deal of respect. Could I dream up a story that deserved to follow theirs? Besides, all my knowledge about the Amish comes from relatives in Holmes County, Ohio, not Pennsylvania, and there are definite differences. But after a conversation with Susan, and a lengthy email exchange with Mindy, I agreed to give it a try. I'm so glad I did! I learned a ton about the Pennsylvania Amish, and I came up with a character and a story that I fell in love with. I can't wait for you to meet Seth Hostetler! I warn you—Seth has issues. From the title, you already know he's suffered a devastating loss. But I think you will love him, as I do. And thank goodness we serve a God of happy endings. I can't wait to hear what you think of The Amish Widower." 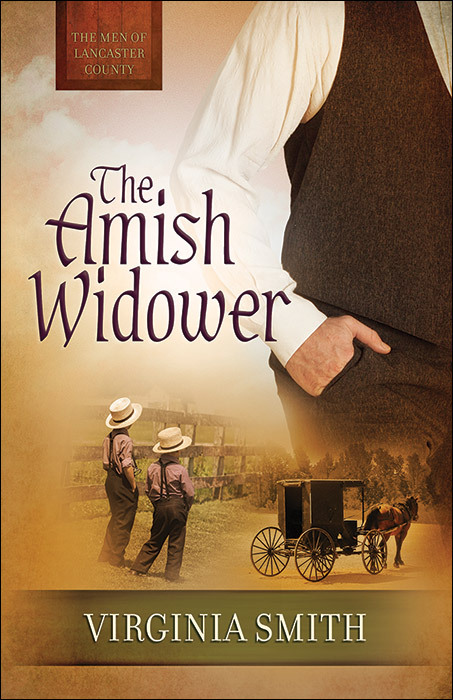 The Amish Widower by Virginia Smith is probably the best Amish story I’ve read that wasn’t a suspense novel or thriller. I think Ms. Smith did a wonderful job of portraying the grief, guilt, and anger that can take over the whole being of a person. I enjoyed reading this book. Everything about this story was believable and I could almost expect to go to Lancaster County, Pennsylvania and meet Seth Hostetler and the other characters from this book. I liked hearing the story first hand from Seth’ s point of view—he was the central figure and that really helped to define him and see the side of him that he didn’t want to admit to most people. I loved that he wanted to try his hand at pottery! As I have recently taken a beginner pottery class so I can appreciate the detail given to this aspect and also I’m a little jealous of his gifted natural talent! I’ll be looking forward to another story to unfold from Virginia Smith!